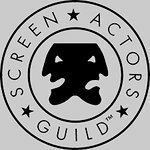 The SAG Awards Red Carpet Bleacher Seat Auction, the second in a trio of online auctions benefitting the SAG-AFTRA Foundation, is now open at sagawards.org/auction. Film and television fans have the chance to bid on over 85 bleacher seats from which they can watch their favorite stars walk the 25th Anniversary SAG Awards Red Carpet and have the opportunity to take pictures and request autographs. The 25th Annual Screen Actors Guild Awards will be simulcast live from the Shrine Auditorium and Expo Hall in Los Angeles on TNT and TBS on Sunday, January 27, 2019 at 8 p.m. ET / 5 p.m. PT. Since this is the SAG Awards Silver Anniversary, the walk from the limousine drop-off to the showroom will be on a Silver Carpet instead of the traditional red, thanks to official pre-show sponsor and SAG-AFTRA Foundation donor, Reynolds Wrap. Winners of Special VIP Bleacher Seats will see this for themselves, since positioning includes front row seats across from the photographers and cameras, as well as across from entertainment news platforms. Bleacher seat guests will be required to wear black and white cocktail attire. The auction closes Sunday, January 13 at 9 p.m. ET / 6 p.m. PT. Proceeds from the SAG Awards Holiday Auction support the SAG-AFTRA Foundation’s award-winning children’s literacy program Storyline Online, the interactive children’s literacy website that attracts more than 6 million global views each month. The auction also supports the SAG-AFTRA Foundation’s Disaster Relief Fund, Catastrophic Health Fund, Emergency Assistance and Scholarship Program for SAG-AFTRA artists and their families. 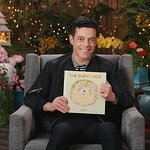 The final auction in the annual series of online fundraisers is the SAG Awards Ceremony Auction, scheduled to begin on Friday, January 25 and run through February 4. Featured items donated by this year’s nominees and presenters will include autographed scripts, posters, wardrobes and props. Opportunities to visit sets will also be offered, as well as experiential packages from studios, sponsors and entertainment media outlets.